As more and more of our cultural heritage migrates into digital form and as increasing amounts of literature and art are created within digital environments, it becomes more important than ever before for us to understand how the medium affects the text. The expert contributors to this volume provide a clear, engrossing and accessible insight into how the texts we read and study are created, shaped and transmitted to us. They outline the theory behind studying texts in many different forms and offer case studies demonstrating key methodologies underlying the vital processes of editing and presenting texts. 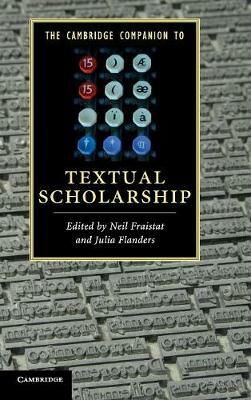 Through their multiple perspectives they demonstrate the centrality of textual scholarship to current literary studies of all kinds and express the sheer intellectual excitement of a crucial scholarly discipline entering a new phase of its existence.